An unavoidable accident is an inevitable occurrence that is not to be foreseen or prevented by vigilance, care, and attention and not occasioned by or contributed to in any manner by an act or omission of the party claiming the accident was unavoidable. And in this case, the defendant claims that the accident was unavoidable. At one time, this was a Maryland pattern jury instruction before the court’s opinion in Fry v. Carter, 375 Md. 341 (2003). In Fry, a man was working on a road construction crew at I-270 near the exit ramp to I-70 when he was struck by roof trusses extending over the side of a flat-bed tractor trailer. At Miller & Zois, our attorneys have handled a number of cases involving tractor trailers or other big truck accidents and the injuries are, unfortunately, almost always very serious. In this case, the man struck by the truck was killed. The driver of the tractor-trailer contended that he did not see the decedent until just moments before his truck hit the decedent. At trial, over objection the trial court instructed the jury, giving the unavoidable accident instruction above. Plaintiffs’ argued that a collision between a truck driver and a pedestrian were not inevitable and that they were almost invariably the product of the truck driver’s negligence. After a defense verdict in favor of the tractor trailer driver, Plaintiffs continued this argument on appeal. The Maryland Court of Appeals agreed that a party is entitled to an instruction on the defense or theory of the defense. An unavoidable accident, however, is not a separate defense to a negligence claim; it is really nothing more than the truck driver’s denial of negligence (or that the tractor trailer driver’s negligence was not the proximate cause of the injury). Accordingly, the court ruled that in Maryland, unavoidable accident is not a separate defense and thus does not fall within the category of those circumstances in which a party is entitled to an instruction reflecting the defense. Therefore, the trial court erred in instructing the jury on unavoidable accident. Even if the trial court erred in giving the unavoidable accident instruction, the Plaintiff is also required to prove that the giving of the unavoidable accident instruction prejudiced the jury. In other words, Plaintiff must show that the jury may well have found differently had the instruction not been given. The court agreed that the instruction was prejudicial and constituted reversible error because the jury likely speculated as to whether the driver could have avoided the accident at the last minute. The court made clear that this instruction should not be given in any negligence case, prospective to the date of the court’s decision. 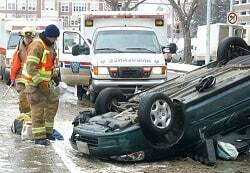 In spite of this, many judges in auto accident cases are still giving in the instruction. Our lawyers tried a contested liability personal injury auto accident case in Anne Arundel County against Allstate that was presided over by an excellent Anne Arundel County Circuit Court judge. But the judge ruled on this issue that the unavoidable accident instruction was appropriate primarily because all of the pattern and non pattern instructions went against the defendant and the judge said that while he understood our lawyers’ arguments, he wanted to level the playing field given that all of the instructions were loaded adversely to the Allstate defendant. The judge noted our exception to his ruling and, fortunately, we won a sizable judgment for our client in spite of that instruction. We didn't view it as a bad thing. It gave us rock solid appellate grounds if we had lost. 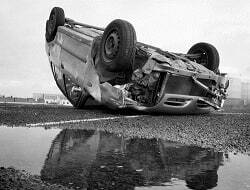 Take Home Message on "Unavoidable Crashes"
Personal injury lawyers in Baltimore representing accident victims need to bear in mind that they must object on the record to this instruction if it is offered by the defendant, arguing Fye and its progeny. Many defense lawyers continue to slip in this instruction into their instruction suggestions to the court hoping plaintiff’s attorney will not object. Finally, if the court does grant the defendant’s attorney’s request for the instruction, you must object to the instruction on the record (not in chambers). If you do not prevail, you will likely have a quality issue on appeal.